Adult Lifetime Mash is a high potency, non-allergenic formulation feed, developed for adult birds in need of year round nourishment. The mash combines palatable, nutritionally balanced ingredients, ideal for birds in general ill-health when fed over a 6 month period. Make sure to feed fresh food daily. To help reduce waste, feed as distinct meals. Birds may eat all they want, but use the table below as a guideline. 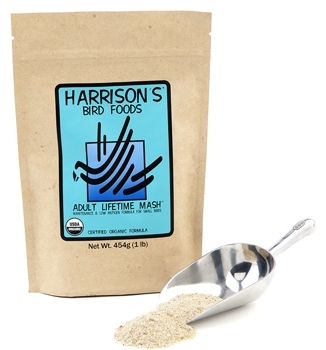 There are currently no questions for Harrison's Adult Lifetime Mash Bird Food - be the first to ask one!